Policy: cancellations and changes are possible until 3 days before your arrival time. If you change your arrival to a later date, the cancellation term is the same. If you anticipate your arrival date, the cancellation term changes with the new arrival time. Beyond this term, we will apply no-show, and we will charge your credit card with the fist night of the stay. 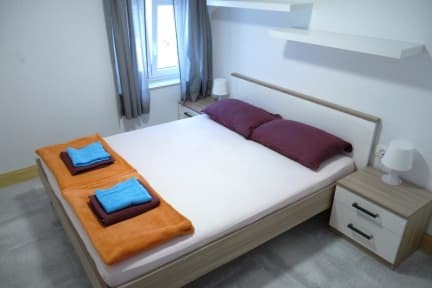 We are located in the middle of Piran city center, just a minute away from the bus station, beaches, Tartini square, aquarium, museum, restaurants and night life. Fun, quiet and amazing location for young families, couples, travelers and all who want to enjoy the old city of Piran. 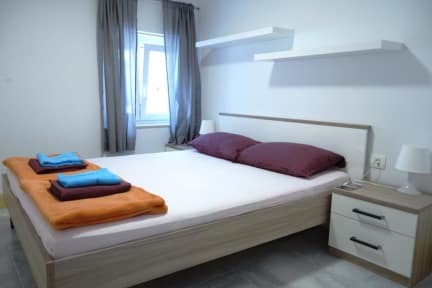 Our accommodation includes private double and twin rooms with shared bathrom, private triple bed room with shared bathrom, private four bedroom with private bathroom and private kitchen. All rooms are equipped with contemporary furniture, high speed wireless internet (WI-FI), cable TV, air condition or fan. We also offer some of the most popular activities in Slovenia like rafting, canyoning, trekking, scuba diving, snorkeling, daily visits to Postojna cave, rent a scooter-bike and a morning coffee. Come and enjoy the best accommodation in the old city of Piran.